When I had a girl after three boys, people automatically assumed I’d go crazy for pink, frills and flowers. Actually, it was quite the opposite. By baby number four, it was all about functionality and practicality (and the fact that I love red, yellow and navy blue was a great help). The navy leggings and red jumpers that my boys had worn were just as good for my daughter, but once they got into larger sizing, clothing styles became very much ‘boy’ or ‘girl’. Tootsa MacGinty changes that. All the clothes at Tootsa MacGinty are unisex, except for a few dresses. 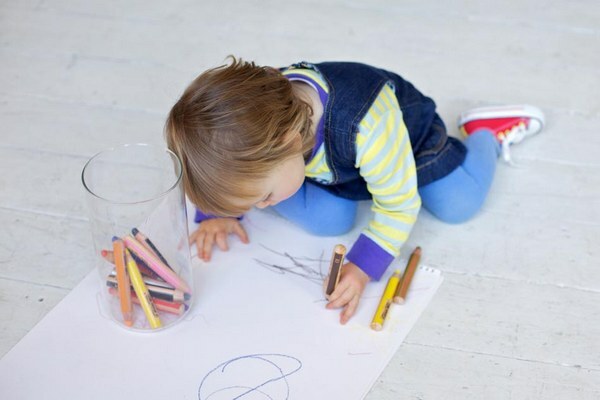 The clothes are designed for function and fun – terrific colours, practical styles and hard-wearing fabrics are the key, ensuring that pieces really can be passed on from one child to the next. Designer Kate Pietrasik has very strong opinions about her clothes. After working in fashion in Australia and France, she moved back to the UK in 2010 with her baby daughter and was shocked by the stark gendering of children’s clothes – sludgy colours and camouflage for boys, glitzy princess themes for girls, dubious slogans the little wearers couldn’t even read. Tootsa MacGinty was born. 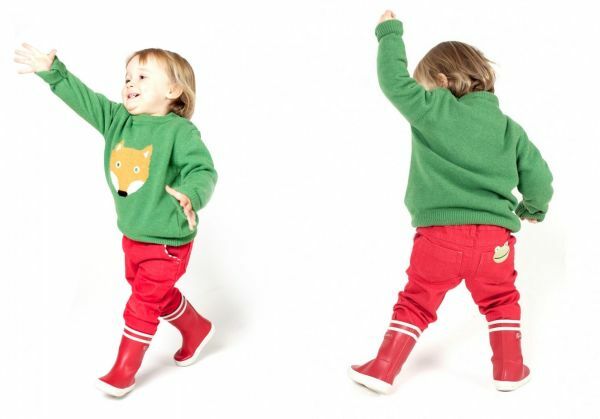 The debut collection for Autumn/Winter 2011 includes ever-fashionable stripes, coloured denim and knits with animal motifs that are simply adorable. Every different colour for each piece in the collection is identified with its own animal appliqué including puffins, foxes, hedgehogs, owls and badgers. I love that little frog peeping over the back pocket of those red jeans. If you have a crawler to outfit, denim overalls will become a wardrobe staple – Tootsa MacGinty offers overalls in traditional denim or red, either way you can’t go wrong. Team overalls with a striped t-shirt for classic style. I can’t wait to see what Pietrasik presents for summer. 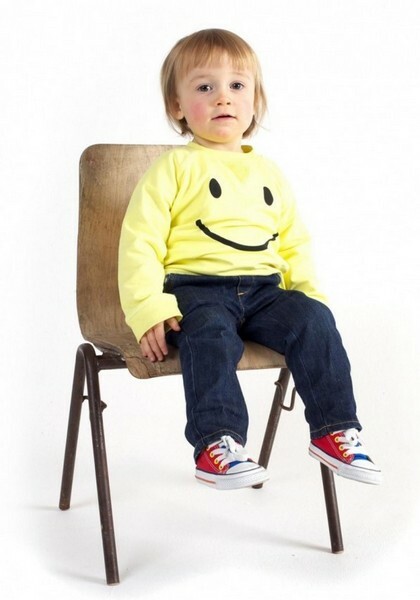 Prices start at £22 for long-sleeved striped cotton t-shirts and £31 for denim overalls. You can buy direct from the Tootsa MacGinty online store.